I mentioned a few days ago that First have a new demonstrator at work in Plymouth. 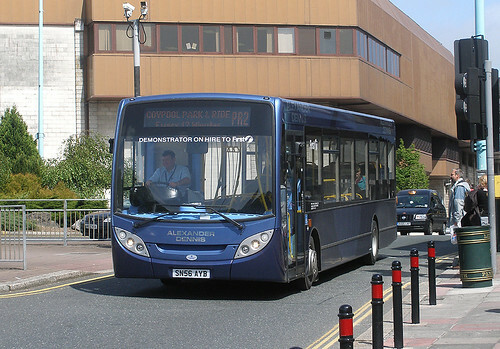 Thanks to ken Baker I can now post this great shot of the bus at work on the PR2 Coypool service. It would be good to see these in the same livery as the double deckers so that the PR2 gets the same high visibility that PR1 gets.